Today’s organizations face an explosion of data from more sources than ever before presenting great opportunities for answering new questions and improving many activities we undertake. However, managing huge amounts of data is a challenge for many enterprises, causing many to rethink their approach to collection, processing, storage and analytics. NLT offers unrivaled experience supporting and managing the full lifecycle development process for large scale data production and visualization initiatives for government and industry. 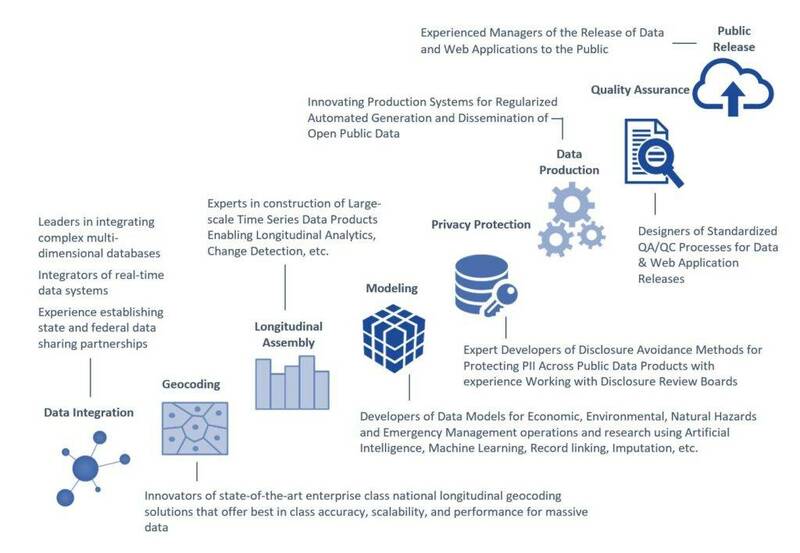 This unusually wide range of experience covers automated data collection, integration, geo-referencing, modelling, privacy protection, quality assurance & control, visualization, and public release of complex national, longitudinal, or geospatial datasets. NLT’s wide ranging experience integrating, developing, and disseminating Big Data enables customers to take advantage of best in class capabilities, be more integrated, scalable, secure, adaptable, and sustainable, and reduce cost and risk.